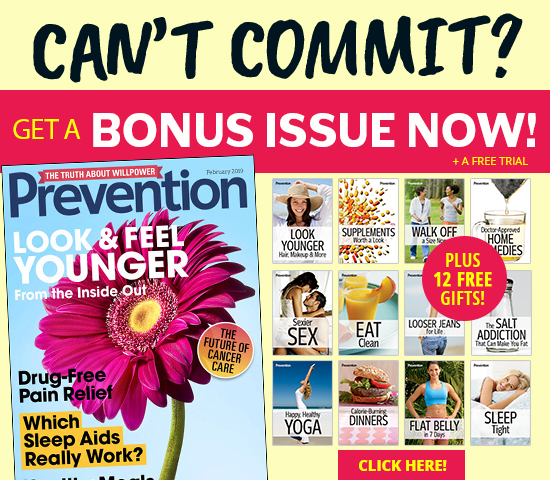 EXCLUSIVE OFFER: Get 12 issues of PREVENTION plus 1 trial issue - 13 in all! Plus, get 12 free health reports when you subscribe today! You will be enrolled in a subscription that will automatically renew until you cancel*. $22.00 (plus $1.99 shipping) for 12 issues + free trial issue (13 in all)! $33.00 (plus $1.99 shipping) for 24 issues + free trial issue (25 in all)! 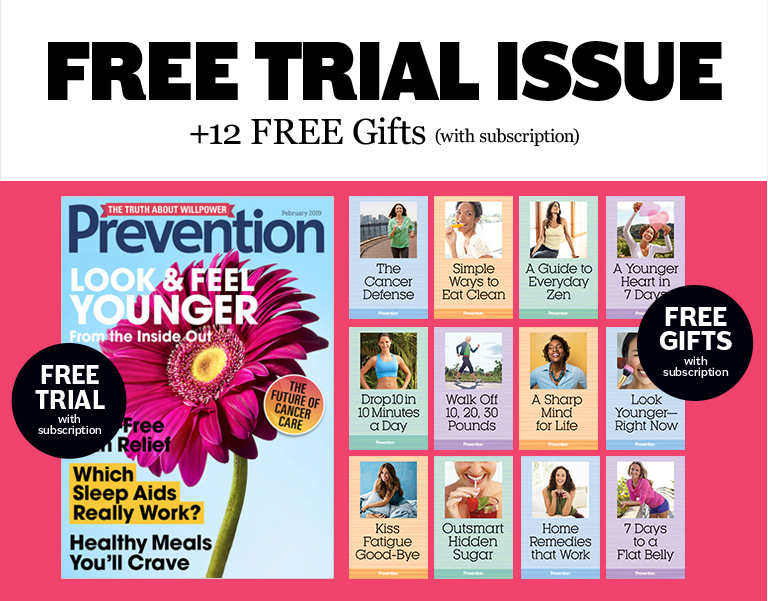 If you're not satisfied with your free trial issue, go to http://www.service.prevention.com to 'cancel' your subscription within 30 days of placing your order. You can keep the first issue absolutely free, with no obligation. If you choose not to cancel in the 30-day trial period, you will be charged $23.99 for a one-year subscription or $34.99 for a two-year subscription and enrolled in the continuous service program. Yes! Please add Walk Off Weight and MP3 Set to my order.